Text of a paper given by Patrick Goossens at the conference of the Association of European Printing Museums, Making history: collections, collectors and the cultural role of printing museums, Museum of Typography, Chania, (Crete, Greece), 11-14 May 2017. First of all I would like to take the opportunity to thank the AEPM and the organisers here in Chania for making this conference happen and for giving me the opportunity to make a small contribution to the theme of the event. The title of the conference is Making history: collections, collectors and the cultural role of printing museums. And the reason I’m standing here in front of you today is, I guess, to be found in the keywords of the title. Collections. I fit that bill. The picture ornamenting the webpages of this conference was taken in my warehouse. Of course, there are more machines, as you can see in the second picture. Collectors. I plead guilty. Here is a view of half of the former Dale Guild in New Jersey, which I was able to acquire some time ago, ready to be shipped to Antwerp. More about that in a moment. Making history. As an independent researcher these two words have become the reason why I keep collecting. An extensive collection allows for an industrial-archaeological approach to historical research. Sometimes objects may have survived but with no archival sources to document the artefacts or the ways in which they were used. In addition, the ‘how did they do it’ of technological history is often better understood with a hands-on approach. Learning to cut punches, under the practised eye of Nelly Gable. Using the Benton engraver to make a new matrix. There is much which could be said about private collectors in general and about personal experiences but, as it happens, when I sent my proposal I already had a framework ready, so I will stick to that. The presentation is in three parts. Workshops, printing exhibitions and trade shows. 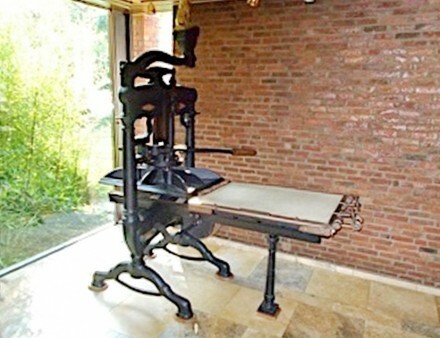 Or how the presentation of the actual process of printing is found interesting by visitors. 3. Demonstrating the craft, or keeping the true knowledge alive? Or how to keep alive the true craft – that attracted the audiences to authentic workshops – for the present and the future. …even before printing museums existed. Technology has always fascinated many people. Ever since Gutenberg took all the existing components and made them in to a single, unified system it has been possible to duplicate that system, and thus speed up the spreading of ideas. And as a mechanical process, printing has also attracted audiences who have marvelled at its techniques. William of Orange (1539); Archdukes Albert and Isabella (1599); Maria de Medici, Louis XIII’s mother together with Archduchess Isabella (1631); Thomas of Savoye, an Italian prince (1634); Cardinal Infante Don Ferdinand (later governor-general of the Netherlands, 1635); Don Francisco de Mello (1641); Marquis Castel Rodrigo(1646); Prince Leopold William (1647); Polish royal Prince Vladislav (1624); Prince Casimir (1635); Queen Louisa Maria Gonzaga (1646); Queen Christina of Sweden (1654); Italian prince Cosimo III de’ Medici (1668). Later, there were fewer visits for a while. But in the nineteenth century, before the Plantin press became a museum, and when it was still actively printing, visits took up again. The wife of King Louis-Philippe of France visited in 1834 accompanied by the Belgian king and queen (Leopold I) and two princesses’ daughters (Marie and Clémentine of France). Every time an important guest was in the shop, a kind of keepsake was printed, so the guests would experience the ‘how and what’ of printing. But even more significant than this list of prominent visitors are the names of the many of ‘ordinary’ travellers that came by and made notes in their travel journals. For instance, the German theologian Calixtus (1641); an Englishman by the name of Brown (1668); two Germans, Hartmann in 1657 and Apronius in 1677; Skippon from England and Balthasar de Monconys from France in 1663. Their numbers must have been considerable since measures had to be taken to stop the workforce from quarrelling over the tips they got from the many visitors as a reward for setting their names to be printed on the Plantin Press as a memento of their visit – a problem which was resolved in 1640 when the shop was moved to a location with a separate entrance so that customers did not have to go through the workhop to get to the offices or the bookshop. As for the later Moretuses, they became veritable Cerbereans on the question of keeping out the tourists: in the decades before the house became a museum, only family members were allowed to visit it. 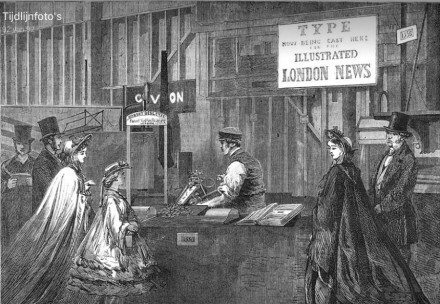 Besides working print shops, crowds have also been attracted by exhibitions and trade shows. Though such exhibitions tended to be mainly concerned with the showing of books, additional sections were often added on the ‘making of books’. David Mckitterick in his Old books new technologies informs us that public galleries for the display of art can be traced back to ancient times, but they were not expected to be open to everyone. He sums up the most important events related to printing. The first exhibition that, in addition to showing books and manuscripts, also took an interest in printing, was the 1840 exhibition in Leipzig commemorating the quatercentenary of Gutenberg. The first part of the display consisted of an exhibition of books which took the visitor through the main printers of incunabula, before continuing up to contemporary presses such as Tauchnitz and Wigand from Leipzig. The second part of the exhibition was about printing techniques and equipment, even including the recent process of electrotyping. J.J.F. 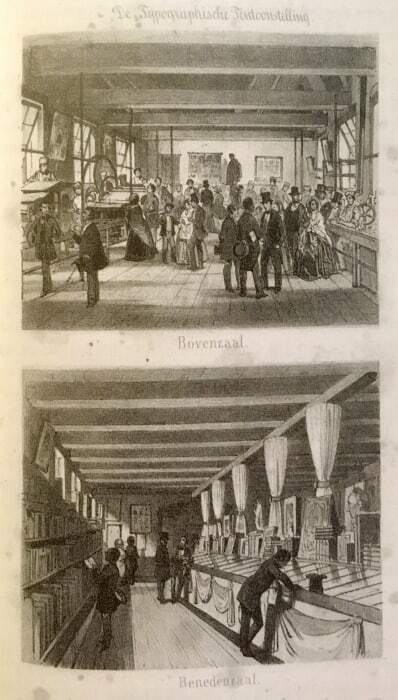 Noordziek, Gedenkboek der Coster-feesten, Haarlem, 1858. Reproduced in McKitterick, Old books, new technology, p. 156. An exhibition in Norwich, also in 1840, included a section on printing in addition to the usual mixture of national history with stuffed animals and the likes. 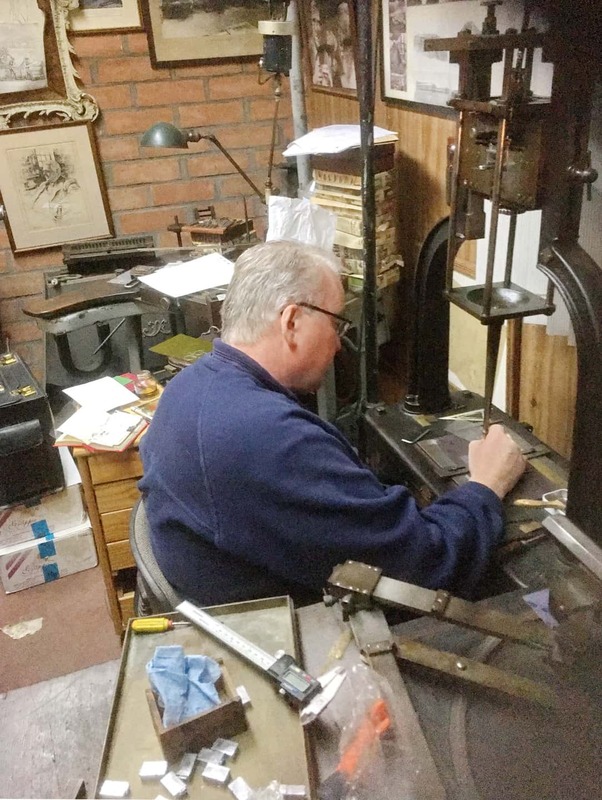 A local printer, Josiah Fletcher lent an old common press as well as a lithographical press and a rolling press. The printed guide to the exhibition devoted several pages to printing and type-founding, describing the operations involved in each. 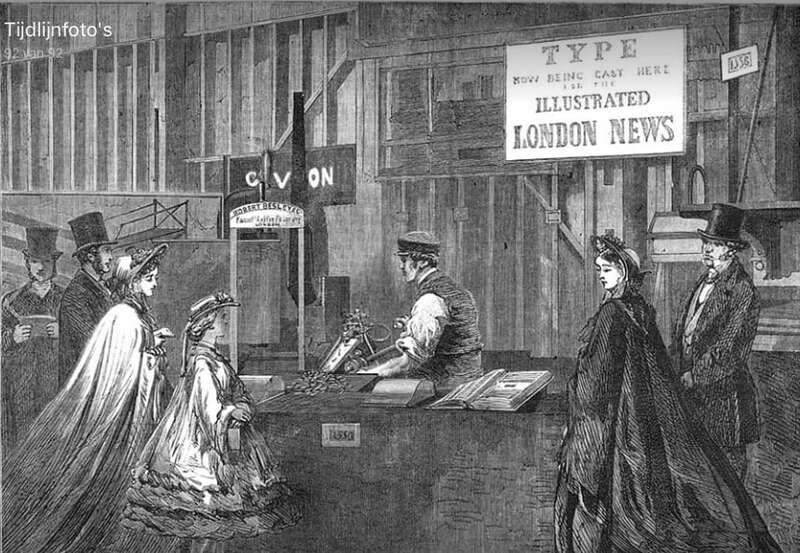 The great Caxton exhibition in 1877 showed not only books. An array of artefacts was brought out for the general public’s attention. 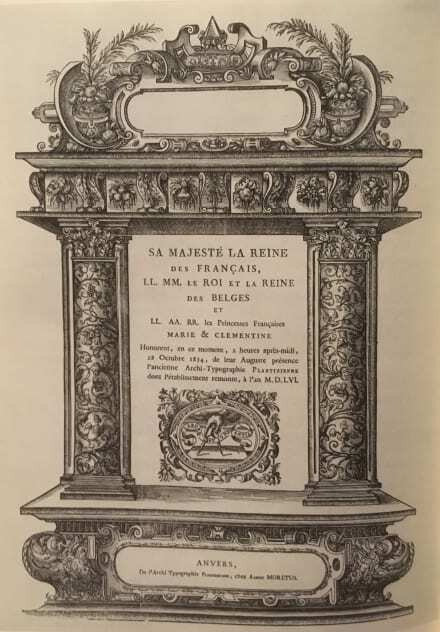 The title page of the exhibition catalogue mentioned ‘the loan collection of antiquities, curiosities and appliances connected with the art of printing’. There were enormous amounts of books on show, including Caxton prints, manuscripts, Bibles, etc. etc., but ‘Towards the end of the exhibition, matters turned from books to equipment and methods. 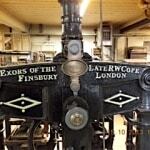 Type-founding equipment was borrowed from Oxford University Press, the firm of Caslon and others. 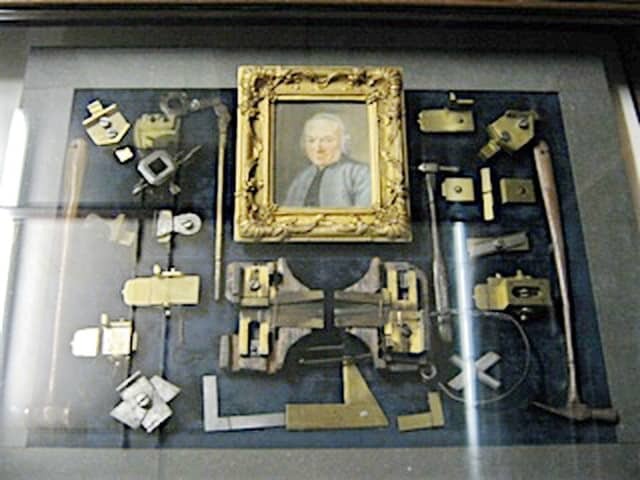 There were type-casting machines, music plates and various presses, including a toy one said to have been used by Charles I and (less improbably) a wooden one said to have been used by the eighteenth-century punch-cutter J. M. Fleischman at Haarlem. 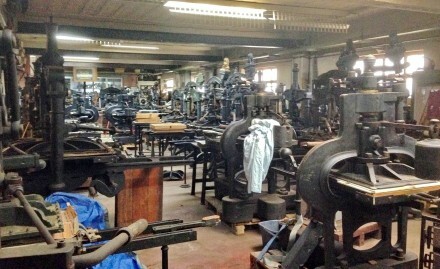 Space was even found for a series of modern machine presses. Not everybody was happy with this combination and some bibliographers complained about the smell! But it was not an exhibition of books: rather it was an exhibition specifically about printing. One of the first, if not the first. In the British Museum some galleries were to be used for something similar, and by the 1890, the South Kensington Museum had an exhibition of printing machinery. 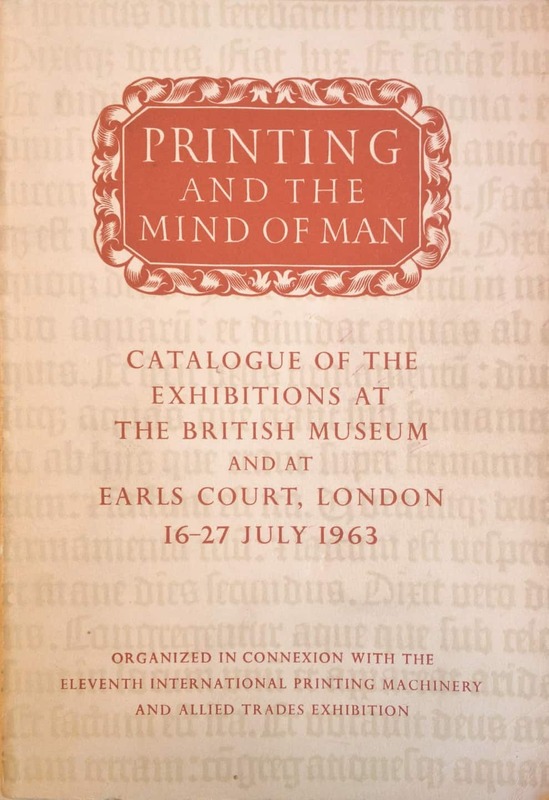 At the Printing Historical Society’ latest conference in Dublin, From craft to technology and back again‘ professor Caroline Archer gave a nice overview of the Ipex trade exhibitions in the UK, including the important Printing and the mind of man commemoration which it put on in 1963. She emphasized that a large portion of the original catalogue was devoted to the actual machinery, whereas the later book version, also entitled Printing and the mind of man only emphasized the output: the books! 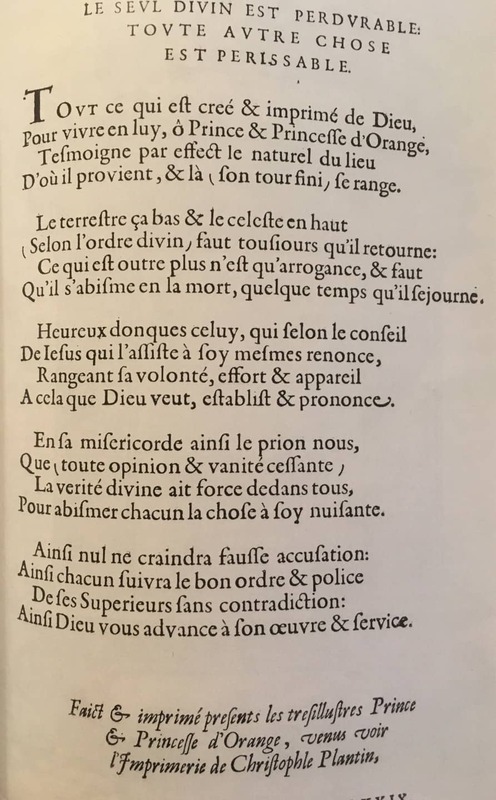 With these historical examples I have tried to show that working print shops (like the Plantin before it became a museum) and working parts of exhibitions have attracted the interest of the public (whatever that may be). And that they were showing true craft. Now we move on to the private collector and motivations for collecting. How museums got built and their importance is likely to be touched upon by other speakers at this conference, so I will principally emphasise the role of private collectors in the story. 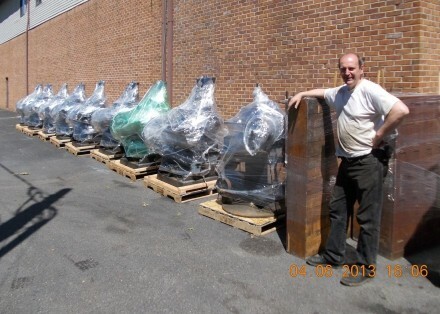 For many museum collections originate out of private collections. A nice example of the indirect input of private collectors seems again to be the Plantin-Moretus Museum. Voet describes how the spreading of a rumour in 1873 that foreign art-lovers had made ‘an offer’ to Jonker Edward Moretus for his family treasures ‘[…] caused great consternation amongst a group of people with a love and concern for that national heritage who did not want to let these priceless relics of Antwerp’s former splendour leave the country’. The rest is history: the collection was bought in 1876 and a museum was opened in 1877. And thus it went from print shop to Unesco World Heritage with the addition, last year, of a state of the art new building to house the priceless archival and typographical collections. It is a nice example of how the mere ‘interest’ of private collectors sparked the fire in official organs (in this case the town of Antwerp and the Belgian state) to preserve and invest in printing heritage for generations to come. This is unfortunately not always the case and often it is left to private collectors to take up the (temporary roll) of stewards of the material. In many cases a firm takes on the role of guardian. Just because it feels that it is its role, and that there might be a commercial benefit in it. Unfortunately, that often turns out to be rather ‘unreliable’ in the long term, since they are subject to the ups and downs of their economic strength, and when a business gets into trouble the first thing to go is everything that costs money, and a collection is often brought to the auction house (or even worse scrapped). 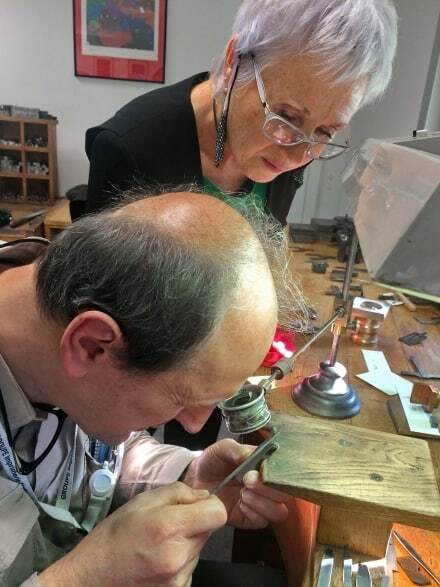 Sometimes other private collectors and heritage workers step in to become ‘keepers’ of the hardware. Or the collection is housed somewhere else, waiting for better times (as in the case of Enschedé’s collections). In such cases, at least the material is preserved. Photograph taken at the Enschedé Museum in Haarlem before it closed. Pixel drawing from the computer hand set in type for a two-colour poster at the Archivio Typografico. A very common scenario is that only part of the heritage is preserved, just because it is too beautiful to destroy. The vast amount of iron hand presses that survived might be explained by this reason. 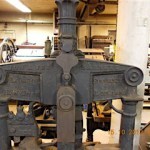 It was very fashionable in some periods to put a nicely cleaned up hand press in the entrance hall of a modern print shop. In other periods however they had to be moved out because the fact of putting an old machine as a showpiece was referring to the ‘old way’ and a modern company couldn’t have that: it was all about the new! Many of them were quickly sold off. Metal hand press in the entrance hall of a modern printing establishment. In such cases, however, the knowledge of how to use the machines has often been totally lost. On several occasions I have found machines wrongly assembled. They are just an inert exhibit. 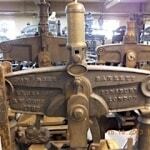 In some countries wars and other events have had a great influence on the loss of antique machines. In the Netherlands for instance, after the second world war, there was something called het machine fonds (the machine fund) that provided subsidies for investment in newer machines and actually sent out a crew of officials to physically destroy the older machines. This is one of the reasons why the Dutch organisation Drukwerk in de Marge (in the margin) is so strong, because equipment was hard to get and the non-commercial printers needed a good organisation to support one another. 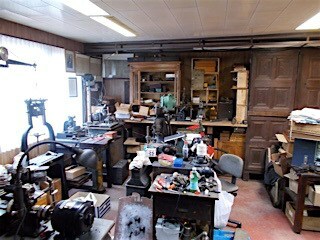 Many heritage workshops are the result of that. In my own case, it all started after I had finished my history degree and wanted to publish texts on my own. 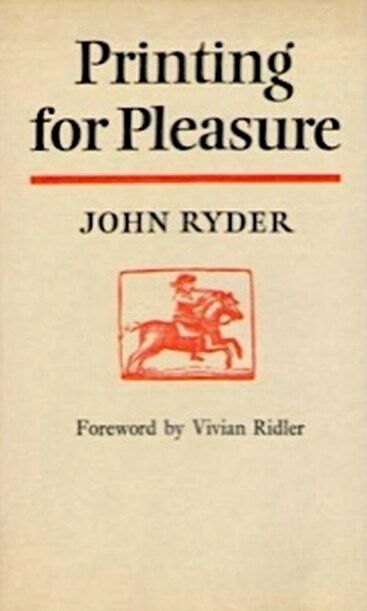 An inspiring book by John Ryder, Printing as a pastime, informed me about what I needed. But getting material was really difficult. Print works did not want to sell to individuals. After the coming of the internet that changed, and all of a sudden everything was available, everywhere. The ‘market was flooded’ and the careless collector (me) was soon swamped with equipment: a problem which museums often also have to face. So, the collector needs to plan out what he wants to do. If he goes for a private museum, he needs to find a nice representational selection covering whatever his museum is going to be about. 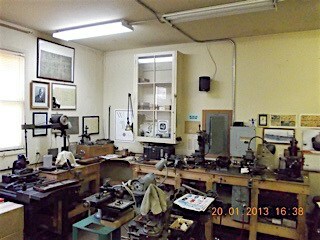 If he wants to go for a working heritage shop, he needs to focus on usable complete sets of equipment. Maybe he wants to do both. In my case, I ended up focused on ‘saving’ different examples of the same kind of machine, so that a comparison of techniques would be possible. In other words, collecting and preservation as a basis for research. Of course, an extensive technical and historical library needs to be collected too. Next to that I soon focused on the techniques the most in peril: typecasting and matrix making. 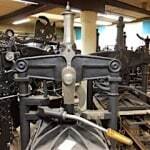 As for the machines from the firms who supplied the print shops, I soon found that though the hardware was still around, the knowledge of how to use the machinery had been almost completely lost. In 1993 the American Type Founders, the biggest type manufacturing conglomerate in the USA went bankrupt. 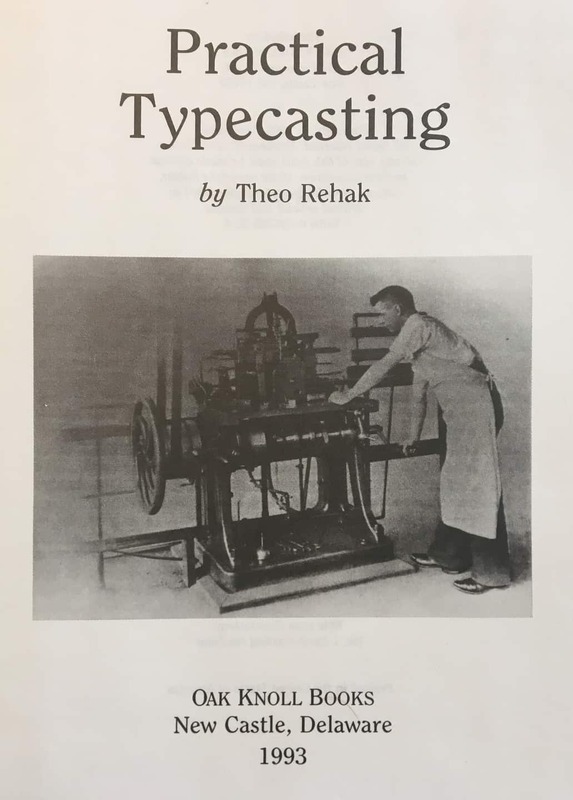 A big sale, called by aficionados the ‘sale of the century’ was held and Theo Rehak, who had trained at the plant, managed to save the essential machines to continue the core business of making matrices. He set up a company in Howell (New Jersey) called The Dale Guild. So far nothing peculiar there, since in other countries the hardware of most historical foundries was saved also: in Germany (Leipzig and Darmstadt), Holland (Enschedé), Great Britain (Stephenson Blake; Monotype). France is totally different case, for type-founding was practised, and continues to be practised, in a partially state-owned enterprise. Unfortunately, in all these examples – except for France – the type founding business either remained in private hands and slowly died out (except for Gerstenberg in Darmstadt), or moved into a museum environment where it was/is preserved, along with the skills, though only at a demonstration level. The making of matrices only got preserved for the Monotype system in the UK where the Type Archive thrives at doing exactly what they started to do at the outset of the firm in the last quart of the nineteenth century. 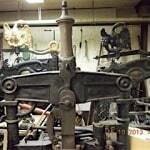 France still holds an active knowledge in punch cutting and matrix making. The third ‘professional’ was the Dale Guild. When Theo Rehak retired and sold the business to younger people they found there was actually ‘no business’. Many collectors made offers for parts of the plant: templates for individual typefaces, the archives, the odd mat of for instance a capital A in a certain face. Ebay was lurking. 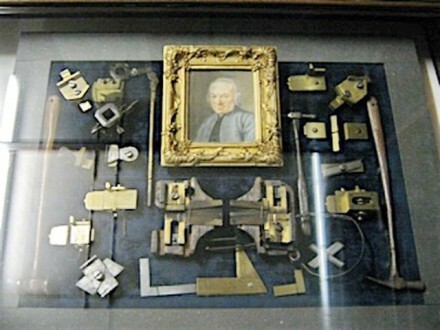 In a bold attempt to keep the equipment together it was brought to Antwerp and is in the process of being set up again for the ‘authentic’ creation of engraved matrices. No governmental or institutional organisation was or is ‘ready’ to invest in that equipment to preserve it as a whole for the future. Since many of the actors are still alive, learning the knowledge of how to use the equipment is underway. Luckily Mr Rehak wrote a book about it to document the process, but such a detailed text is not sufficient at all to really perform to the old standards. Tuition is needed. Now I know of course that there are more modern ways of making engraved matrices. Just like wood type can be made differently than with a handheld pantographic router, and can even be made from materials other than wood, such as a range of composites). But I am convinced that preserving this part of the craft is still important for research and that the accumulated collections of inert artefacts need be transformed in to animate objects so that we can understand our past, and consequently our present and our future. 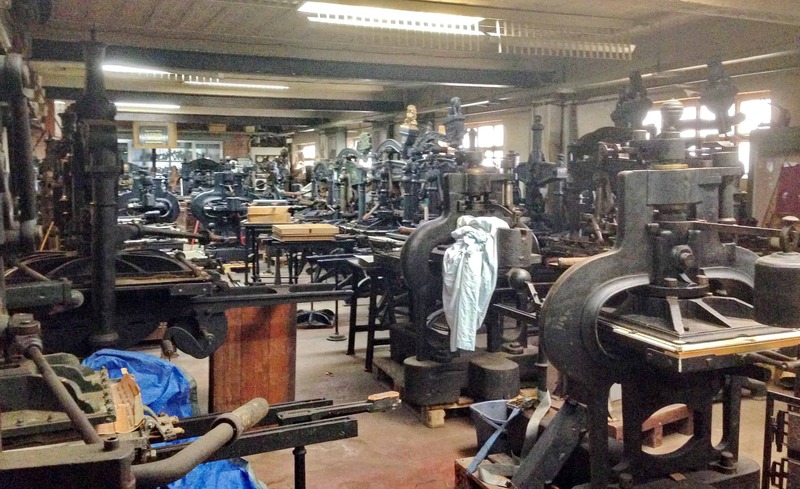 Another part of my own collection are the iron hand presses, a large number of which are kept together in a large warehouse. This allows for easy comparisons of the different mechanisms which even the same manufacturers often used. It is also interesting to compare the differences between original imports and local reproductions. Preliminary conclusions of my research regarding this have been published or are under way such as, for example, that the implementation of new technology was not as swift as is generally thought. 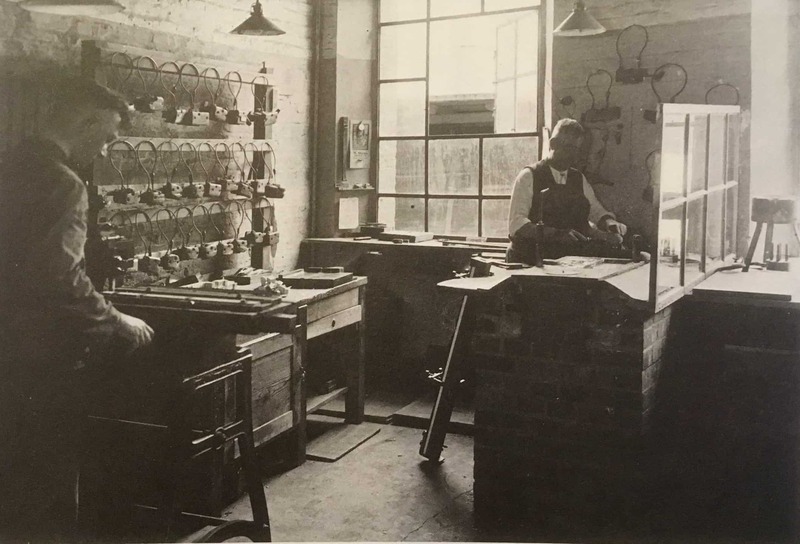 Another topic is that of the hand moulds which were used for the production of type until the process was mechanised. 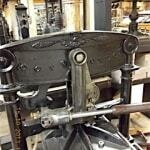 Mechanisation did not however mean the end of the hand mould which was still needed for some specific designs. 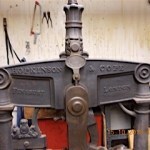 And for fitting that matrix in to the machine, hand casting was done way up in to the twentieth century. W. Wilkes, Das Schriftgiesen, Von Stempelschnitt, Matrizenfertigung und Letterngus,. Eine Dokumentation ven Walter Wilkes, Darmstadt, 1981. Photo: Klingspor Museum, Offenbach, Germany. Of course the private collector is also burdened with the question of succession. Being just a steward for the period during which he can actively collect, use, preserve, catalogue, research, etc., one day he will have to find a successor. The challenges here are enormous. Many countries, states, cities and museums do not have the capacity to acquire more material objects. And their view of collecting is usually rather different from that of a private collector. At previous conferences and meetings where this subject was touched upon no real solution was put forward, the best case scenario being to leave the collection, together with enough funding to preserve it for the future. The theme of my research is the evolution of printing technology, and specifically how it got distributed and implemented / or not. In one of his books, The gifts of Athena, the historian of technology Joel Mokyr explains that in his view economic growth after the industrial revolution became possible because of the enormous availability of new technological ideas and of the spread of this technology through a vast network of scientists and technicians to the work floor of businesses and in society. The premise of his book is that ‘what people knew affected what they did’. But since we are talking technology, I think we need to try and understand the mechanics of even smaller technical innovations in order to find out why some of them found direct general implementation, or why some entrepreneurs kept on using older technology even up to the present day. Preserving the old techniques can also be aimed at the future. 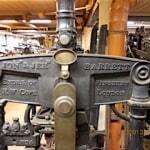 The ‘revival’ of what is now called ‘letterpress’ uses the ‘old technology’ to make new things. With an extensive collection one can research the differences between several technological innovations (what else is the point of having a hundred different hand presses standing next to each other?). By using the equipment and spreading that knowledge to other researchers the impact of technology for instance on type face design is hopefully better understood. What can a Benton engraver do or not do? Can all designs be cut mechanically, or are punches necessary for certain designs? In an interview with signor Bracchino, punchcutter at Nebiolo, he confirmed and showed that some designs they cut on their version of the Benton needed hand finishing! Signor Bracchino at Tallone Editore. One cannot learn these techniques from a book alone. Going into the trenches and doing some digging is the only way of acquiring the knowledge, and of passing it on. That is why it is so important for instance that an institution like the Imprimerie Nationale in Paris teaches the art of hand punch cutting. That is why I believe that next to, or incorporated into museums, heritage workshops are necessary. But caution is needed. When occasionally the craft is watered down to demonstrational level, a lot of it gets lost. The innocent visitor might get the wrong impression of the true craft. Or even worse, the future researcher, designer or heritage printer starts with a false idea. So in order to preserve the true craft of historic printing technology one needs to preserve not only the artefacts, but also the knowledge of their use. Documenting is one thing, but teaching is another. 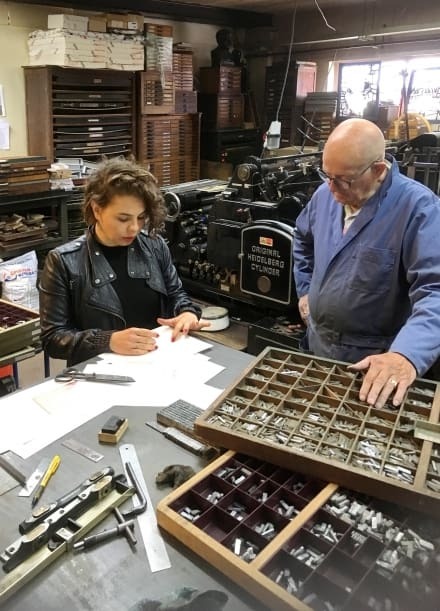 A re-cutting of a 6 point type, where the design originates from the vaults of the Plantin Museum, is being done right here in Greece (by Joly Papadopoulos). 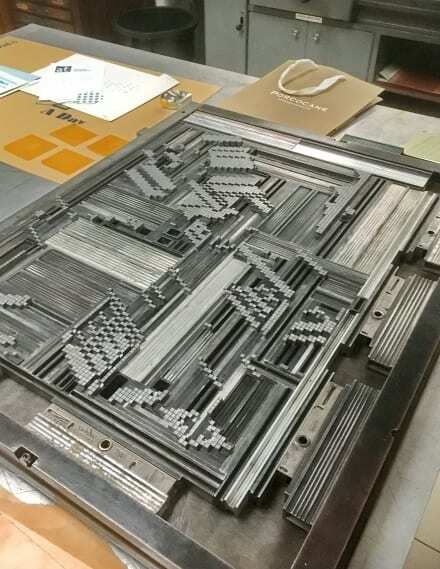 At the Type Archive a completely new design for a metal typeface is being made according to the old standards. 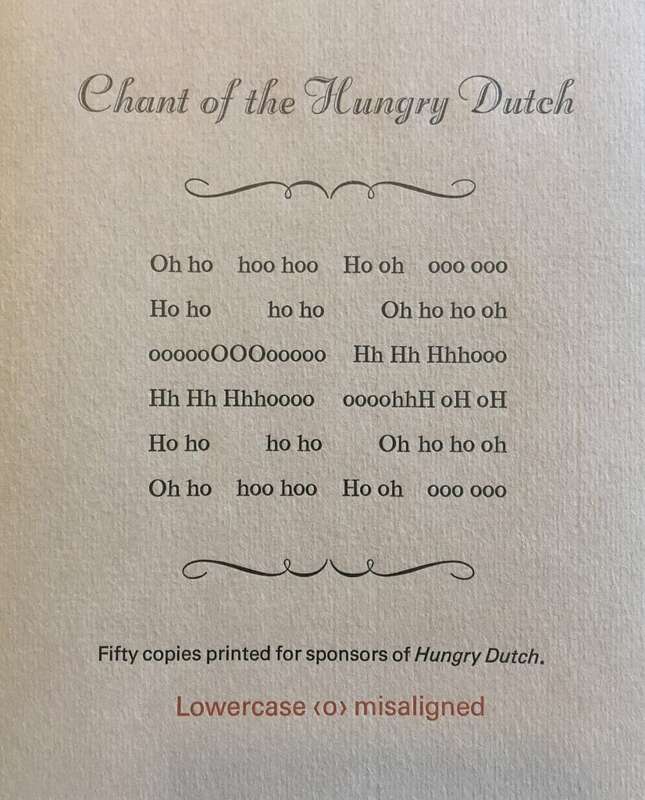 (Hungry Dutch, by Russel Maret). A two colour typeface engraved for use on the Monotype Super caster has just been released in Westzaan (Novo Typo, Stichting Lettergieten). 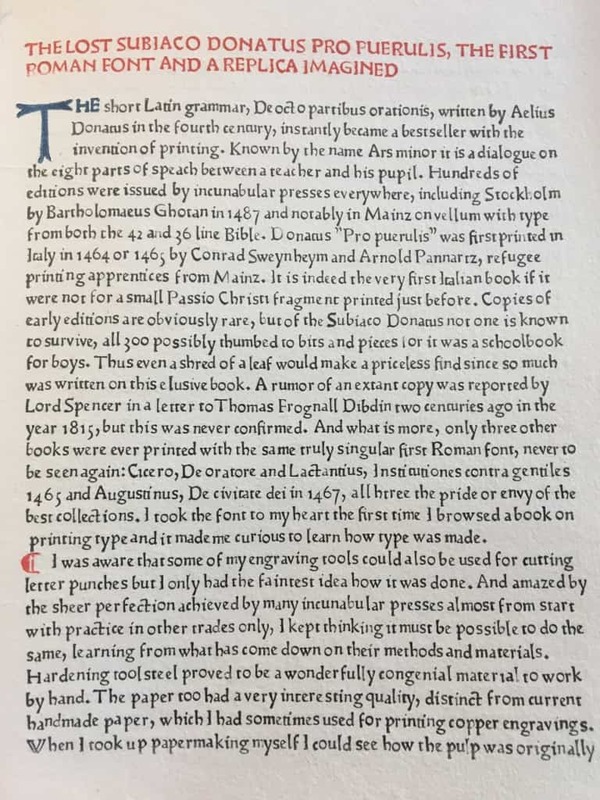 William Morris’s Troy type was recut into Monotype composition matrices in Switzerland. Other designs have also been made there. 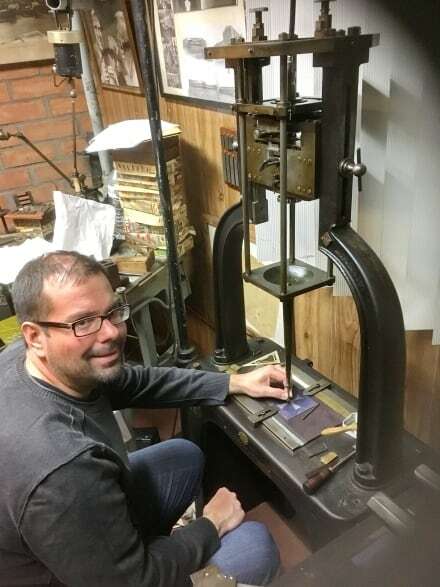 At Swamp Press and Type foundry the winning design for the Fine Press Book Association contest of a few years ago was engraved using a Benton machine. In the meantime Ed Rayher has also re-engraved and cast a version of Cherokee in metal. He is working on many more designs. With the equipment of the late Dale Guild, the heirs of American Type Founders who recut the B42 type for a Japanese printing company, I personally am working on re-cutting some designs of Van den Keere and Hendrik de Lettersnyder, based on material also present in the Plantin Archives. Richard Arlin re-cuts the Donatus type by Sweynheym and Pannartz. Hand punch-cutting is also undergoing a revival. 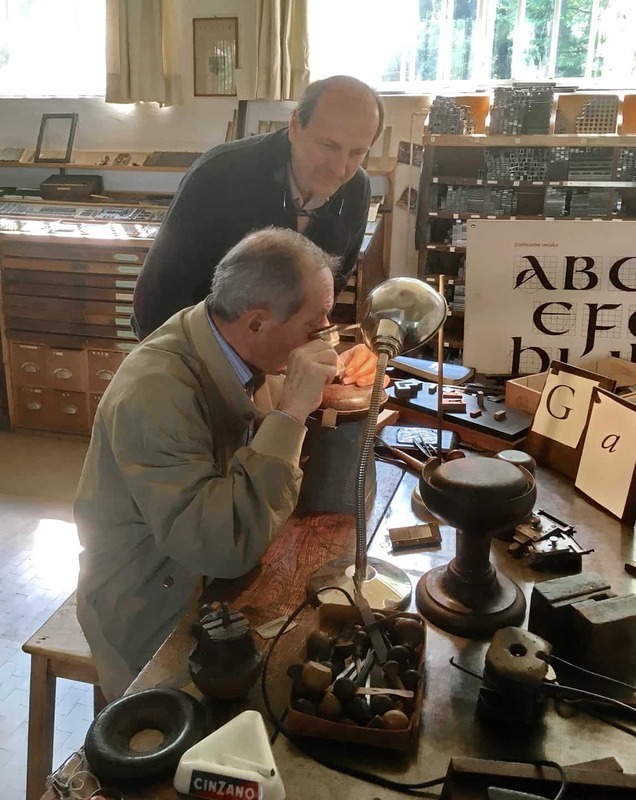 Thanks to the noble initiative of the Imprimerie Nationale in France, the ‘art of punch cutting’ is being taught. In the US, one of the former students of the techniques of the Imprimerie Nationale, Stan Nelson, has given several short and longer tutorials (Rochester Institute of Technology and Wells College) in that same art. This last example might come in handy because I think that a demand will come from research institutions who will find that in museums’ artefacts are now given the status of ‘historical objects’. They can no longer be handled in an ‘unsafe’ way. Which makes it more important than ever that the skills of re-creating the tools of the past be kept alive. So that for future research this can be done with true replicas. How is anybody going to experiment with punches, matrices and hand moulds if historical ones are rightfully protected and the knowledge of making new ones is completely lost? Knowing how hard it is to cut a punch (and I have tried) one can better understand how much thought must have gone in to designing a new face because if after hours of graving and filing the face is a disappointment, the only way to mend that is to start again. This was one of the remarks which Matthew Carter made when commenting on the wonderful video documentation of the training of the Canadian type designer Carl Dair at Enschedé in Haarlem in the nineteen fifties. And if a historical punch breaks, and if the craft it still alive, a new punch can be made with same defaults in design which the original had. I apologize for only touching upon ‘letterpress’. I am fully aware of the many other revolutions that have taken place in the ‘communication business’. Likely the same issues are at play when preserving the craft of stone lithography, intaglio and silk screen printing, photocomposition and last but not least the digital environment. Is it not a fact that the older the technology the easier it is to preserve it. Getting electronic devices from the nineteen seventies back into operation is a real challenge. 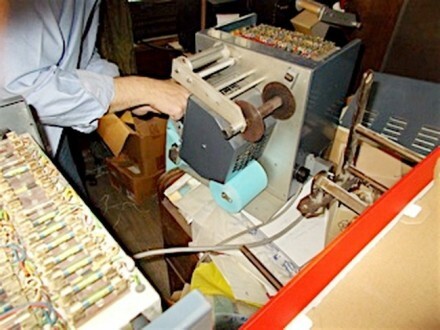 Believe me I followed closely the attempt to get the early electronic keyboards and paper tape punching units from the Monotype corporation back into working order. Every single model seems to have been a prototype! 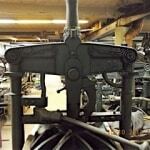 While a missing cam or rod for a nineteenth century machine can be reproduced fairly easily, different electronic parts cannot. Finding ‘new’ floppy discs is already a challenge. So to conclude this talk I would just like to say that the process of printing has always attracted an interested audience, that the added value of presenting old machinery is squared if it is done in such a way that it also keeps the true craft alive. This is not only valuable for understanding the past in a much more correct way. It can also be an added value for the future where young people can continue to use these materials to create new things. And if the authentic objects are too precious, they can be reproduced in the exact way as they were made in the past. But to be able to do that the knowledge has to be preserved, and if official museums struggle to employ specialists in this field heritage workshops can/should take up that role. 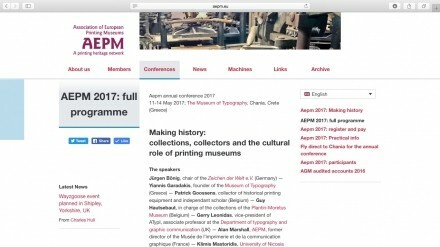 It is fortunate that the AEPM encourages private collectors and workshops as well as universities to become members alongside the ‘real’ museums! L. Voet, The Golden Compasses, A history and evaluation of the printing and publishing activities of the Officina Plantiniana at Antwerp in two volumes. Volume 1. Christophe Plantin and the Moretuses: their lives and their world, Amsterdam, Vangendt & co, 1969, p. 396-404. All these visitors did bring about a problem when the Moretusses wanted to print something that was not to be seen in the light like when asked to print something for a Dutch printer in 1643. 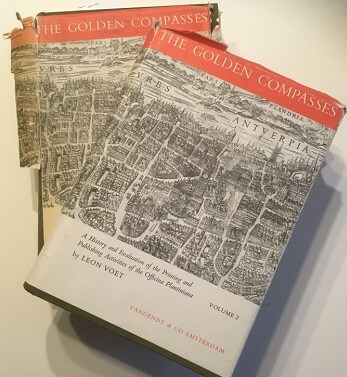 L. Voet, Golden Compasses, vol. 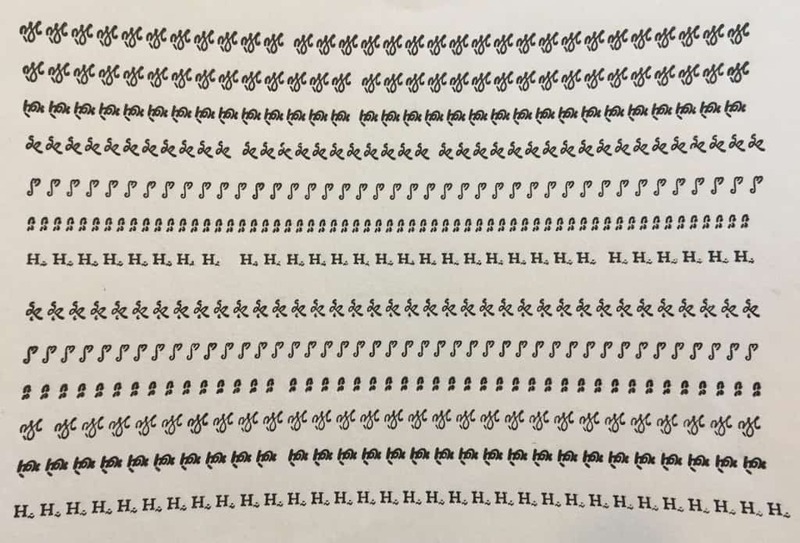 1., p. 404. L. Voet, The Golden Compasses, vol. 1, p. 405. L. Voet, The Golden Compasses, vol. 1. p. 406. D. McKitterick, Old books, new technologies. The representation, conservation and transformation of books since 1700, Cambridge, University press, 2013, p.142. D. McKitterick, Old books, p. 156. D. McKitterick, Old books, p. 144. D. McKitterick, Old books, p. 159. D. McKitterick, Old books (p. 171), provides a description of all the special books that were on show and were mentioned in the catalogue, in which some experts dealt with the books, while others spoke specifically about printing: Talbot Baines Reed for example, on type-founding and Andrew Tuer, printer, stationer and founder of a trade journal on steam printing. D. McKitterick, Old books, p. 174-175. D. McKitterick, Old books, p. 196. Voet, L. Golden compasses, vol.1. p. 407. Voet, L. Golden compasses, vol.1, p. 407. Theo Rehak, A message of hope. Farewell speech, Piqua Ohio, 2010. 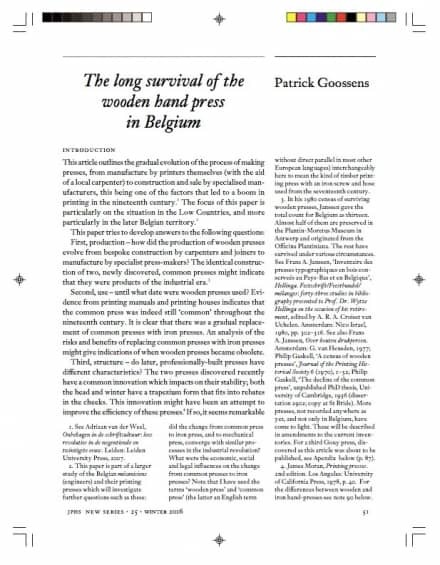 Published by Letter-kunde press, Antwerp, 2012. Mokyr, Joel, The Gifts of Athena. Historical Origins of the Knowledge Economy, Princeton University Press, Princeton, Oxford, 2005, 5e druk, 2005. 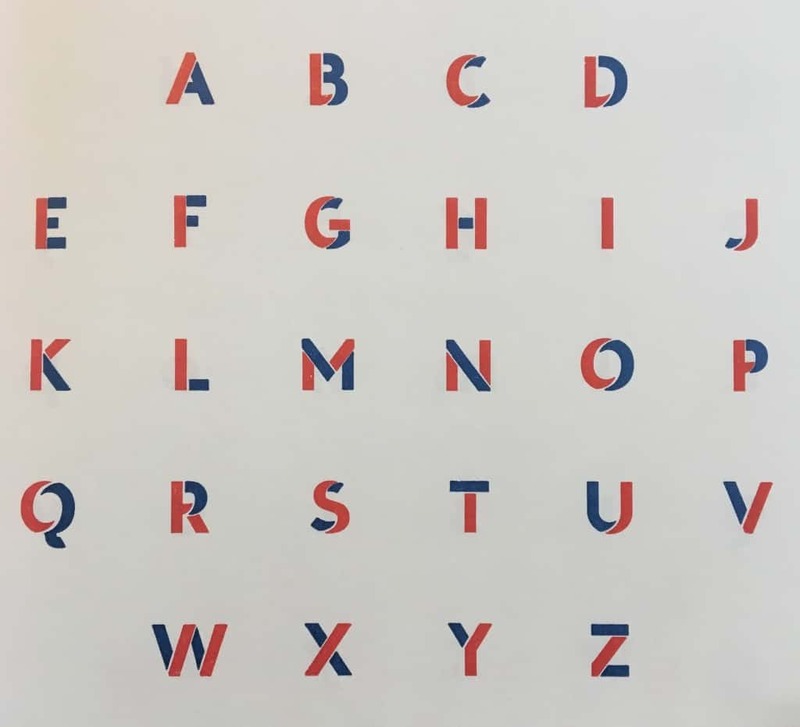 Nelly Gable provided information on this latest point during her talk in Paris last year on the relationship between the Imprimerie nationale and the Monotype Corporation.